These are links directly to collections of records, as collections of manuscripts, published volumes of the data, etc., or sites where you can either view, download or order the collections of data. If you must order the collections, the site gives you instructions how to do so: some have several formats, including e-books for your Kindle, Nook, or other electronic reading device, which are very affordable. Some multi-volume collections of records are a mixture of availability with the first volume being on-line and viewable or downloadable at one site, either all the volumes or the rest of the volumes are either viewable or must be ordered in some format or other from one or more sites. The Annals of the Four Masters which covers Irish history and genealogy from pre-Christian times to 1616 and was compiled by monks between 1616-1636, in six volumes, with a seventh volume as an index to the first six, is one of the prime examples of that mish-mash. One site has all six volumes and the index volume, on-line, but other sites have only one or some of the volumes. For this particular work I’ve put links into this list of sources to both the site with the first volume and all six/seven volumes. This HUGE resource contains all SIX volumes plus the seventh volume index of the Annals of the Four Masters, on-line, as compiled by John O’Donovan and published in 1854, with an excellent introduction to what has been compiled and from what sources and how, from the original manuscripts in the Library of the Royal Irish Academy and Trinity College of Dublin. This is the Irish history and genealogies from ancient pre-Christian times to 1616 CE, compiled by monks between 1616 and 1636 CE. It is mostly kings, tribal and clan chiefs and high ranking, often related, subordinate ‘nobles.’ Specific dates are usually from the 13th century forward and more frequent toward the end of the periods written about by the monks. It describes the political and social structures of Ireland prior to the Normans and then the English in some detail and indicates the locations of the people named by kingdom, division of kingdom (Munster had four divisions) and more. In the total of all six volumes is approximately 4,000 pages of material, a monumental work. The first volume of six volumes of The Annals of the Four Masters. (See Above) There is also an additional book recommended by historians that explains omissions and editing that was done by the monks and why, by Bernadette Cunningham that can also be purchased. Pedigrees of Ireland, Volume 1 (of several) by John O’Hart, 5th edition published in 1892 at Ringsend, Dublin, Ireland. This covers the mythology and early oral tradition, and some monastic and other church records of the first pagan and Christian kings and noble families, clans and tribes of the four, sometimes five kingdoms of Ireland and ‘the new settlers ‘Normans’ and later. There are footnotes and bibliography. There are genealogies with some date and places in the body, but particularly after 1500 CE. The appendices show relationships between more families and the senior/noble Irish families and locations where these families resided generally under the Brehon and Tanist laws. Extended families, clans and tribes were tied to specific lands but the small families within them moved as their rank within their families changed according to changes in the identity of the chiefs. Volume 2 was reprinted by The Longriders’ Guild Press in 2001 is available on Amazon in paperback and hardbound. We are asking the publisher to make this volume an ebook on the Kindle platform. You should ask them also. This volume covers the Norman mercenaries of 1168 CE – ~ 1300 CE and their genealogies up to Cromwell (1649). The Norman (later Norman-Irish) families were mostly in Leinster, Munster and Ulster. The Economic Writings of Sir William Petty, First published in 1662, this includes 100 pages about ‘the political anatomy of Ireland’ at the time of the forfeitures and following compromise arranged by Cromwell and then Charles II. Petty identified all the land-owners in Ireland under the Quit Rents he was assigned to assess, and in so doing, determined who owned what estates, where and what were the sizes of the estates, enabling the forfeitures and redistributions. The two volumes are available in several formats, depending upon the choice of the reader/user. The second volume is more about England and London than Ireland. These documents, New Links to 1641 Depositions, are the depositions and claims of victims and witnesses to the Irish rebellion of 1641. To access the depositions themselves, you sign in/register as a “user” of the Trinity College collections. The depositions are indexed by county and name. They were made by Scots- Irish, Anglo-Irish, Welsh-Irish, Norman-Irish and native Irish as the rebels were as much bent on settingly personal scores as trying to end English rule of Ireland, and the Irish rebels also targeted other Irish who did not agree with the rebellion or did not strongly enough help the rebels. In the depositions are named, husbands, wives, sons, neighbors and the rebels themselves, and their relationships to one another. Used in conjunction with the 1629-30 census and the 1660 hearth rolls, it shows who was killed, who survived, where they were living in 1641 and if they moved after 1641, as many depositions were taken between 1643-1653 from new home places when the old homes were destroyed. This is a Summary of the Calendar of Rosse, calendar meaning a comprehensive, detailed index or short abstracts. This Summary of the Calendar of Rosse covers the collection of all the manuscripts in the entire estate collection of the Parsons’ family who owns Birr Castle in County Offaly, and inherited the second creation of the title Earls of Rosse, as well as some of the real estate and related records from the first earls. The first Calendar of Rosse was created about 10-15 years ago and published in 2008. There has been a project to update the Calendar and add additional materials later discovered since about 2015. A summary of the older Calendar was also published and made available on-line through Birr Castle in 2015. We are hoping to add a link to the updated Calendar of Rosse, as it becomes available. The Parsons family had three members who were Lords Surveyors of Ireland under Elizabeth I of England and James VI of Scotland / James I of England and acquired lands in more than a dozen Irish counties. The Calendar is an ‘estate records collection’ of many transactions, and has names in it of many dozens of families who were in-laws, extended family, neighbors, tenants and business goods and services purveyors to the Parsons, and their locations for over 400 years. The Parsons family of the Earls of Rosse has one of the largest estate records collections in all of Ireland. This document, The Hamilton Manuscripts …, by Sir James Hamilton, Knight, edited by T.K. Lowry, Esq., Belfast, Ireland, 1857, is the collection of Hamilton family papers of the Hamiltons of Claneboy and relatives who along with Hamiltons of Arran and Montgomery families were the founders of the Scottish settlements in County Down and their feudal overlords. Many towns, ports, etc. were founded under the leadership and direction of the Hamiltons and Montgomery’s. Many families who were related to, or had frequent transactions with both Hamiltons and Montgomery’s are in this set of manuscripts and the Montgomery papers. These papers also cover some relationships with Hamiltons of Arran and their adjacent county settlements and estates. This is first volume of The Montgomery Manuscripts: 1603-1706 compiled by William Montgomery, Esq. and edited with notes by Rev. George Hill, published in 1869, Belfast, Ireland. It is the papers of the Montgomery’s Viscounts of Ards, later Earls of Mount Alexander, County Down. This set of papers includes details of several families who came from Scotland to settle in Ireland, notably the Montgomery’s, formerly of Braidstane, a junior branch of the Earls of Eglinton, and Campbells of Dovecoate Hall, descended from a younger son to Campbell of Skeldon. Complete Description of the Battle of the Boyne and Lists of Attainted. After the Catholic forces of King James II surrendered to the mostly Protestant forces of William III at Limerick in 1691, several official documents were hurriedly put together and published on the orders of the victorious William III. This is a link to the appendix to the FIRST of these documents. These documents were written to justify the Protestants (and even some Catholics) rebelling against James II, and so also William’s invasion of Ireland. The referenced ‘Act of Attainder’ was passed by the hand-selected extremist Catholic parliament of the Earl of Tyrconnel, who was appointed by the deposed King James II, and would have had most Protestants massacred. The list of attainted persons includes not only their counties of residence, but also the names of their estates and/or occupations as well names of those who were craftsmen in cities and towns. Lyman Chalkley’s 1911, 3 volumes, Chronicles of the Scotch-Irish; abstracts of original colonial and early state of Virginia records for Augusta County from roughly 1750 to 1850, and part of the records of daughter counties Rockbridge and Botetourt, and bits of Rockingham and Montgomery Counties. The volumes have indexes at the end of each volume, the last 20 or 30 pages of each total number of pages. You can select and enter page numbers in a page number box. You can use the search box to find surnames, full names, or use other key words. Bear in mind there were no universally accepted, and used, spelling rules in the 18th century and surnames often have several spellings. Each spelling should be searched for your ancestors. To quote the Virginia State Archives, “also keep in mind that these are abstracts of records, not the entire record and critical details of events are not in them.” We’ve found that the records themselves sometimes have more names and more description of the parties also. This collection of county records abstracts are a beginning to understand who did what, when, why and how. To get maximum benefit from the records of more complicated matters and lawsuits, you really do need to get the entire record. Annals of Augusta County, by Joseph Waddell, published 1902. Covers some of the same ground as Chalkley’s Chronicles…, but is written more as a history and has additional material from the records themselves. Chalkley sometimes overly abbreviated his extracts and abstracts and Waddell sometimes spotted important items missed by Chalkley. History of Albemarle County, by Rev. Edgar Woods, 1901. Relied on family records, cemetery records, etc., more than county records as the county’s records had, in the words of a visitor even a century later, “no system of filing (or labeling)” making it very had to find much in the cabinets where files had been put haphazardly, when they were no longer in current use. It does cover bits and pieces of several families and important events, including the Woods families. Rev. Neander Woods’ 1905, Woods-McAfee Memorial; a personal family history from mostly family records and some county records from Goochland and to a much lesser extent, Albemarle County, of Virginia, given the condition of the county records at the time “no discernible filing system whatsoever”-written by a frustrated researcher about 70 year later. This is a flawed but useful family history. There was a certain amount of wrong-guessing about Irish ancestry of the Woods family (Worsop is NOT in this family’s actual history) and Rev. Neander Woods and his cousin, Rev. Edgar Woods were not trained historians and did not research Augusta and its daughter counties and mistakenly thought that all the Woods in Augusta and Albemarle Counties were children of one emigrant couple, not two, who were brothers and sisters to one another and thus had very similar names for two sets of children. William Harris Miller’s 1907 flawed family history of Woods, Miller, Kavenaugh, Wallace, etc. families, incorporating some of Rev. Edgar Woods’ genealogical research and a mixture of family records, county records with some counties not searched at all, again, etc..
History of Ayshire, by James Paterson in two volumes; first volume published in 1847; volume 2 published in 1852 (separate listing below the first). Cited NUMEROUS primary source records, especially for the families. Records of the Sheriffs of Inveraray, first volume, published 1901; covers most of a period between 1670-1740 but is not a complete archives. The compiler/editor said many more records remained that needed to be published. The families in the records include many Campbell lines, but also any non-Campbells who lived in Argyllshire and Bute. The Thanes of Cawdor, by John Frederick Vaughan Campbell, 1852; family history, and events covering a number of branches of the Campbells of Cawdor closest to the Thanes, from the primary source records in the “red boxes” at the Castle of Nairn and elsewhere. Covers families in Nairnshire and on Islay. It is not a complete history, and has less detail about Islay than Nairnshire, but is extensive. Earl of Balcarres and 2nd wife of the 8th Earl of Argyll who was beheaded for his rebellion in 1685. Memorial of Sir William Alexander of Menstry, 1st Earl of Stirling, by Major W.R.E. Alexander, published in 1877; covers most of the Alexander family; pedigrees, history, etc., done from mostly primary records and cites them. Very comprehensive; two volumes. The Covenanters, by John Hewison, 2 volumes of history and records of the Covenanters. This names leading preachers and military leaders and what became of them and when. It describes the civil strife and persecutions by the Stuart kings, etc.. The first volume is available via Google books but each computer user has to select the format for download and it varies. Look up the book, volume 1 and author and it comes up on Google books but does not have a universal link. The History of Nairnshire, by George Bain, covers some of the same ground as The Thanes of Cawdor, but has additional civil records and covers other families from Nairnshire. County Down Research Centre, by Ros Davies, one of the best research/heritage centres for Ireland, volunteer created and maintained, and frequently updated. Wallace, Ross and other families have abundant records on this site. 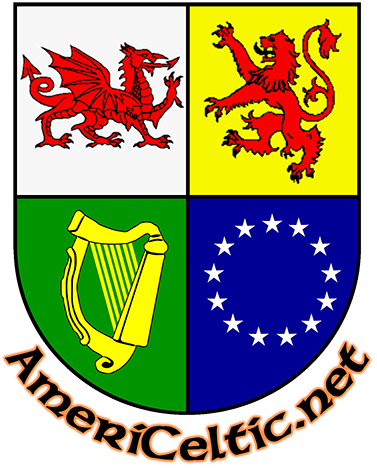 The Irish Ancestral Research Association: site listing for various Irish research sites with on-line materials about families, places and local history. We’re sure there are many more private collections, library collections covering many families before 1850 (when the U.S. census began naming wives, children, ages and birth states/countries), and which could help replace civil records lost in the War Between the States, the census records burnt in the War of 1812, and numerous courthouse fires in the days of wooden buildings, oil lamps and candles and no fire departments in the U.S. These private collections are important since the U.S. also went through a period of time when it rejected literacy and minimized records keeping, which we call ‘America’s Dark Age,’ and is more usually called ‘The Great Awakening’ (of raw emotionalism with little impulse control, particular in religion). The worst of this Dark Age was between 1783-1823, with some states and more rural counties within them suffering longer up to another 30 years. Likewise are more collections than just those of the RCB Library in Dublin, Ireland to help replace all the records lost in the explosion and fire of the Public Record Office in Dublin in 1922. Much of the RCB Library Collection was microfilmed by the Church of Jesus Christ, Latter Day Saints and rented out through its family history arm called ‘Family Search’ and is now being digitized, but many other collections, such as cemetery records are being compiled by local volunteers for local heritage centres and if they are online, they are only through paid subscription services. The estate collections in Ireland of many former large landlords are a critical resource but few have been organized, and indexed, and fewer digitized. A recent EU law blocked completion of an estate collections’ digitization project begun by the National Archives of Ireland, despite the overwhelming majority of persons in the collections being long dead. For the millions of Americans of Scottish descent who came from younger sons of cadet houses of major clans, the archives of the clan chiefs and titled clan leaders would be very helpful to family history research. Some are getting digitized with the ultimate goal of being placed online. The very locations of others are unknown, much less being organized, digitized and made accessible. County/shire court records are still being located, collected, sent to the National Archives of Scotland (accessible records at ‘Scotland’s People,’ a paid subscription service that is part of the National Archives) and digitized. The National Archives of Scotland accepts donations, as Scotland is a small part of the UK and does not get much UK funding. There are states, who through their state archives or state libraries are trying to digitize and get on-line all county records prior to 1900 or 1910 and will accept donations to expedite the process, such as Virginia. AmeriCeltic is seeking to identify, locate these many collections and urge donations to the appropriate libraries and archives to help fund digitization and uploading. If you know of other collections, please send us an email telling us about them. If you would like to donate to the effort, please use the donate button above. Most of the collections below will require under $250 to put online. Please contribute what you can, and we will acknowledge your contribution appropriately. All Pre-1910 records of Virginia, Virginia State Archives, Richmond, VA. Early Maryland Records, another work in progress, Maryland State Archives, Annapolis, MD. Additionally, there are private Scottish and Irish clan and family archives whose owners would like to have digitized and on-line. Examples follow. The Duke of Argyll, the entire archives of Argyll, including sheriff’s records of Inveraray and Bute; all the cadet houses of Argyll who had transactions with Argyll or whose boxes of records for one reason or another returned to Argyll, such as those of the baronets of Auchinbreck. The Earl and Countess of Rosse, Birr Castle, County Offaly, Ireland; records of two lines of the Parsons family and families with whom members intermarried; Irish, Norman-Irish and Scots-Irish families of counties Wicklow, Meath, Offaly, etc. are in these records. The family owned lands in over 15 counties and had transactions with neighbors in all of those counties for 400 years. Part of one archive is missing still.